Welcome to Religious Exploration at UU Middleboro! The children and youth will be encouraged to research their own answers to life’s big questions in their Questing Journals, earning a ring for each quest successfully completed. We also have a whole new way of doing RE. Instead of having three classes with their own teachers, we’re moving to a different model, called UU Spaces. 7th graders and up can spend time in Research Space going into the topic in further depth. Those who feel like being creative will be able to do some artwork or building in Creator Space. Those who feel like they need some quiet time will be able to engage with the contemplative tools in Spirit Space. And those who would like to work on their Questing Journals to earn a Questing ring will be able to spend time in Questing Space. To run this program, we need four adults each Sunday morning: one adult to be the storyteller, one adult to work with the teens, and two other adults to help in the various different Spaces. Would you be interested in helping out? You won’t be a “teacher.” Instead, you’ll be acting as a guide, supporting the children and youth as they further explore the theme for the day. It looks like it will be a fun year of adventure and exploration, so please consider taking part. We can’t run this program without your support. Join us for many more fun activities planned throughout the year. 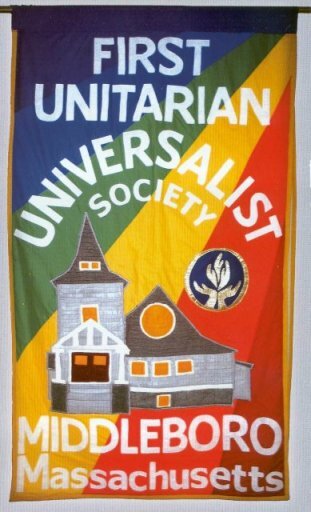 Religious Exploration at UU Middleboro is a collaborative effort, and we welcome all volunteers from the congregation. Let us know what you like to do and when you are available; we would love you to join our committed and fun-loving team of CORI-checked volunteers. Please contact Kelly Lownds (dre@uumiddleboro.org) if you would like to be involved, even if it is for only 1 or 2 Sundays a year. Volunteer on a schedule that works for you. Your role will be a guide encouraging the children and youth to ask questions, laugh, play and learn. Musical? Consider spending 15 minutes a couple Sundays a year rehearsing songs for intergenerational worship. Do you like acting? Take part in a Message for All Ages skit. Love babies and toddlers? Volunteer in the nursery, on a regular or occasional basis. Youth Group? Be a Youth Group coordinator a couple of Sunday afternoons a month. Help out at special events planned throughout the year. We believe in lifespan education. Ask to see our adult education offerings.